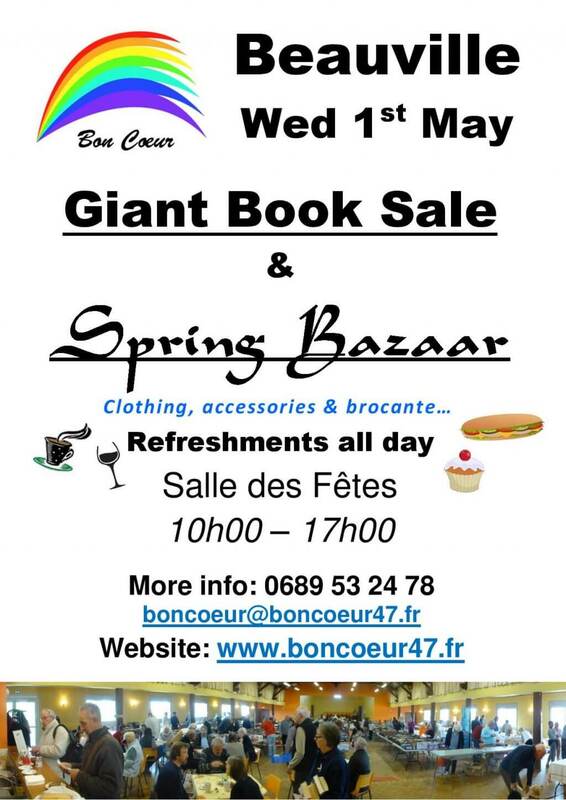 On Wednesday the 1st of May the Bon Coeur Giant Book Sale and Spring Bazaar will be held in the Beauville salle des fêtes from 10am until 4pm. If you wish to donate items for sale please bring them to the salle des fêtes before the event. Contact boncoeur@boncoeur47.fr to make an appointment .